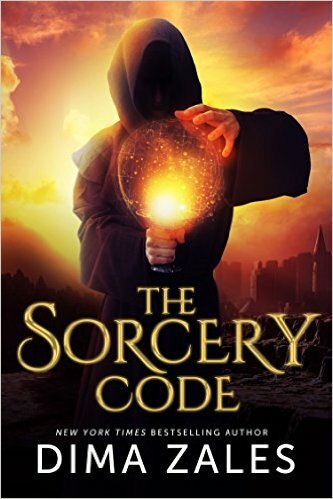 #SorceryCode I'm not usually a big fan of fantasy type books but I was given the opportunity to read The Sorcery Code by Dima Zales and once I started I couldn't stop until the end, except for bathroom and kitchen breaks. This is a book of magic and romance. The 4 main characters, Blaise, Gala, Augusta, and Barson, I feel like I know personally from the writer's description of each one. Dima Zales made me feel like I was right there in the midst of every situation and could feel all the emotion involved. I love a book like that, almost a mini-vacation, this book took me out of my chair and placed me in the middle ages somewhere in the company of sorcerers and soldiers. Now I have to read book #2...The Spell Realm to see how it all turns out. The story is about Blaise, a powerful sorcerer, his ex-fiance' Augusta, her new lover Barson, who is a very powerful soldier, and Gala, Blaise's creation. There are several twists and turns to keep your attention, but it's not hard to follow, just enough to keep you riveted to your chair, like I was. I don't want to give away too much of the storyline, but this is a good read. I recommend it, even though I'm not much of the fantasy book reader.